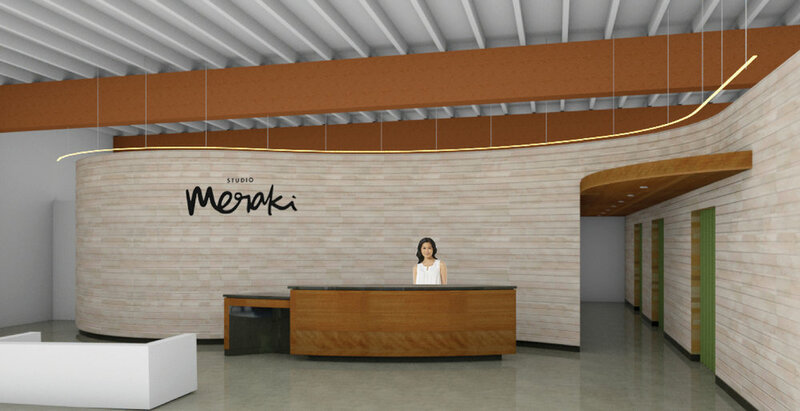 Studio Meraki is moving into the Historic Stark's Vacuum Building on NE Davis Street. 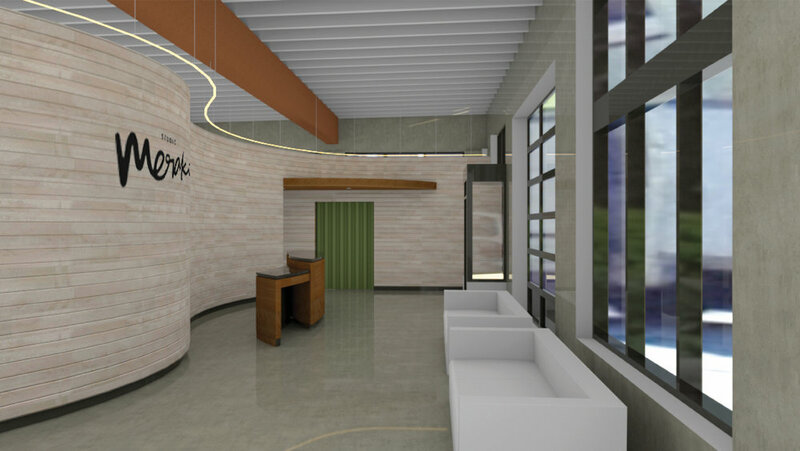 The mircoblading clinic includes treatment rooms and a spa-style waiting lounge. 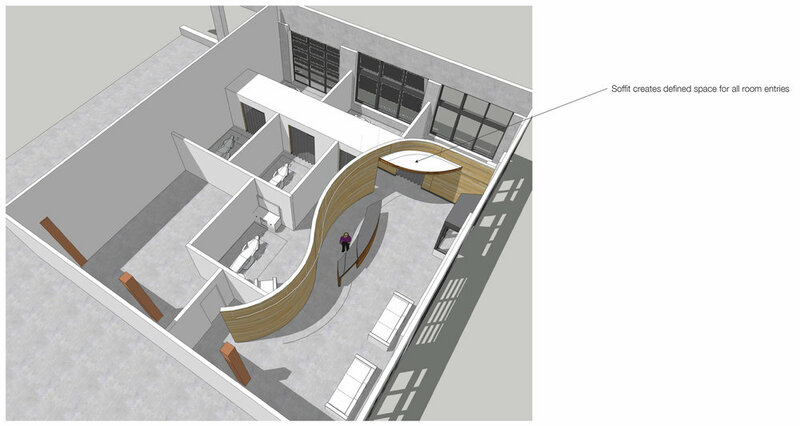 The curved wood wall softens the entry space and provides an icon of the studio visible through the street facing storefront windows.